Alcides is a Greek boy name. Variant of the name Alkeides, derived from the term “alke” (value, discipline, strength). Alcides was a nickname of Heracles. 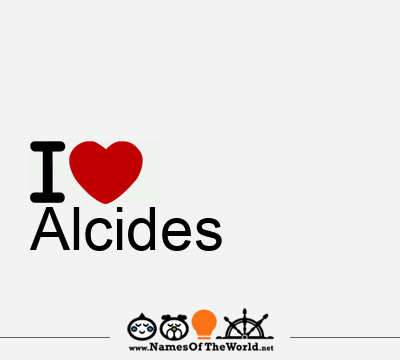 Download the image I love Alcides and share it in your social profiles, web o blog! Do you want an image of the name Alcides in arabic, chinese, gotic, etc. letters? Go to Picnames.com and create your own signature!